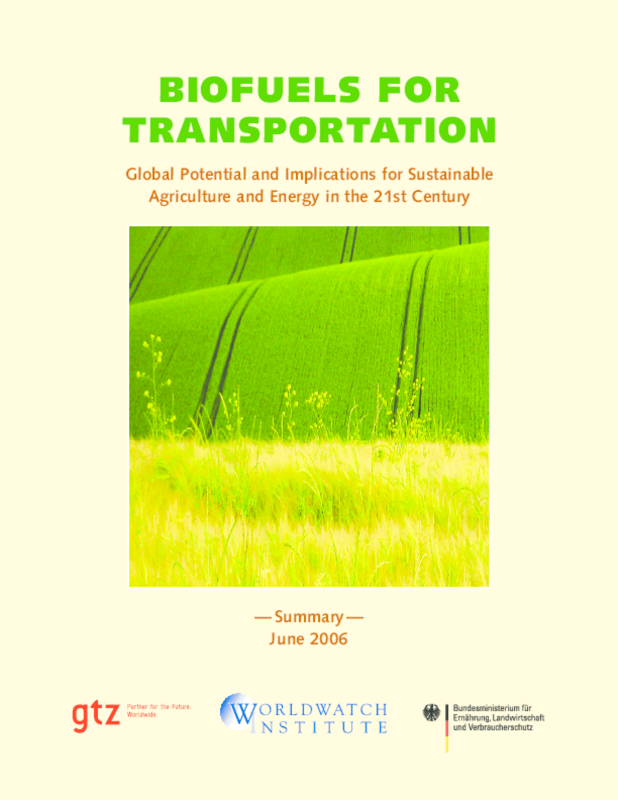 The world is on the verge of an unprecedented increase in the production and use of biofuels. Rising oil prices, national security concerns, the desire to increase farm incomes, and a host of new and improved technologies are propelling many governments to enact powerful incentives for the use of these fuels, which is in turn sparking a new wave of investment in production facilities. Today, the question is not whether renewable biofuels will play a significant role in providing energy for transportation, but rather what the implications of their use will be -- for the economy, for the environment, for global security, and for the health of societies. Decisions made in the next few years will help determine whether biofuels have a largely positive impact or whether the gains from biofuel use will be coupled with equally daunting consequences. Copyright 2006 Worldwatch Institute. All rights reserved.